The entire HMI solution available doesn’t require any installation and is stored on a removable support. In the event of disaster recovery, it is necessary to remove such media from the broken hardware and insert it in a spare part, or using any other laptop, desktop PC, or server PC in your company and you can continue to operate with your machine. 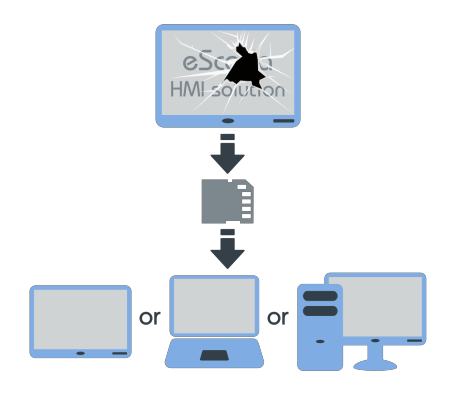 In the event of emergency, the OS version you are running is not of importance as you can run the HMI solution using other types of hardware and OS.